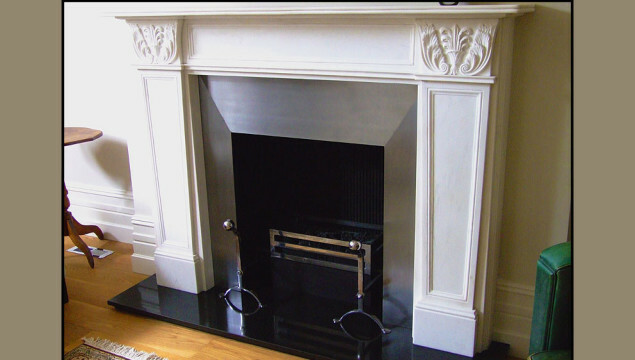 An elegant Regency style fireplace carved from white statuary marble. The panelled tapered jambs are capped with Acanthus leaves, which were the aesthetic basis for the capitals in the Corinthian order of architecture. Complemented by a panelled frieze and surmounted with a simple double bullnose shelf. Shown here with polished steel slips & universal basket on ball headed dogs.